Poverty and rapid urbanization are two of the greatest challenges facing Africa today. Africa has a staggering 166 million homeless individuals, and more than 60 percent of the urban population find themselves in the informal sector where they simply do not earn enough to afford decent shelter and services. 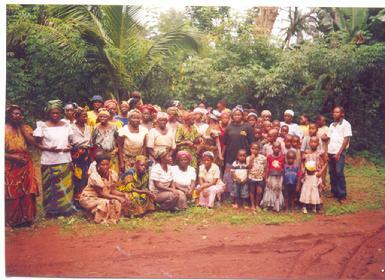 Chosen 300 sponsors a food distribution in 4 villages of Nigeria. These needy funds afford rice, peas, and dry milk every month to needy families. 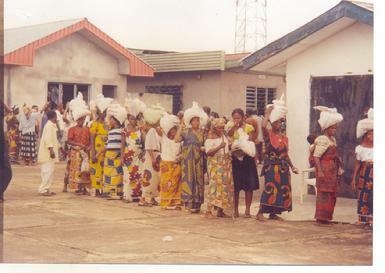 The food distribution of Uturu Nigeria was established in May 2008 after the mission emersion journeyed by Shandai Jenkins in December 2007. 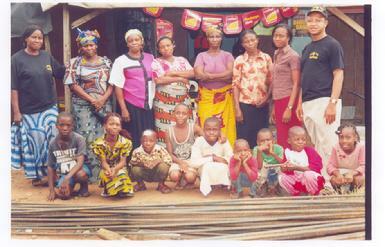 Shandai traveled to Abuja Nigeria to teach student leaders Chosen 300's model on caring for the poor and destitute. After hearing the testimonies of those crying out for help for the villages of Nigeria, Shandai discovered there was great need in the Southern parts of Nigeria. Shandai met with a Pastor from Uturu Nigeria (South Nigeria) who just so happened to be sharing his testimony about the need of food and water in the villages near where he pastored. He told of how the Lord spoke to his heart to feed the people. The Pastor said to the Lord, "How do I feed the people with no resources?" Shandai knew at that moment this was the leader she needed to reach out to. Nigeria gained independence from Great Britain in 1960, there were hopes that the country might emerge as an economic heavyweight in Africa. Not only was Nigeria Africa's most populous country, but it also was blessed with abundant natural resources, particularly oil, from which the country earned over $400 billion between 1970 and 2005. However, Nigeria remains one of the poorest countries in the world. According to the United Nations' 2006 Human Development index, Nigeria ranked 159 out of 177 countries covered. Nigeria's gross domestic product per capita was just $560(Nira) and the (PPP) purchasing power parity is only $1040(US). This means $560 (Nira) would purchase as $1040(US) in the United States. In addition, 51 percent of the adult population is illiterate, and live expectancy at birth was only 43 years. 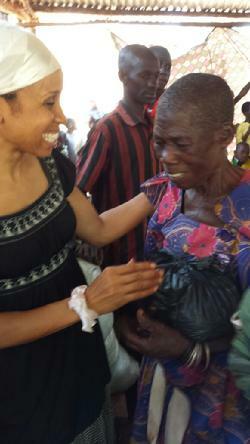 This year, Chosen 300 began a food distribution in Uturu Nigeria, feeding 10 families. Since May The numbers have increased 32 to 35 families monthly. Food in Nigeria is very expensive. The Rice is imported which means one bag of rice cost as much as 7500(nira) which is $64(US). As funds for Nigeria increase, more families can be fed and more lives can be saved.